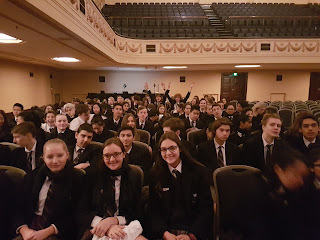 In July, Year 9 and 10 McKinnon German students joined around 700 German students from around Victoria for the key event of the German Day Out in the Melbourne Town Hall, a student forum. At the forum, bearing the motto the year of 'Deutschland - Vielfalt erleben', they were introduced to career opportunities related to German and heard from young Australians about the place that German has in their work and social lives. The annual forum was run by German university students, former recipients of the SAGSE scholarship, who gave an insight into their career paths. Guest speakers from German associations, such as the Goethe Institute and the AGTV informed students about business and research connections with German companies worldwide. Over 700 German companies are doing business in Australia including 480 German subsidiary companies employing more than 110,000 people in many fields. The interesting fact was that German is a well-recognized language for scientific research and the opportunities for studying a STEM subject in Germany are widely acknowledged. In November 2015 Prime Minister Turnbull and Angela Merkel, the German Chancellor, signed 59 recommendations for closer collaboration between the two nations. German does not only extend literacy skills, makes travel more enjoyable and increases job opportunities worldwide - it is also an invaluable skill demanded in an increasingly global world. On the sidelines of the forum two McKinnon students were among four or five students from different schools who were interviewed in German by Radio SBS about their experience of learning German and what interests them about Germany. 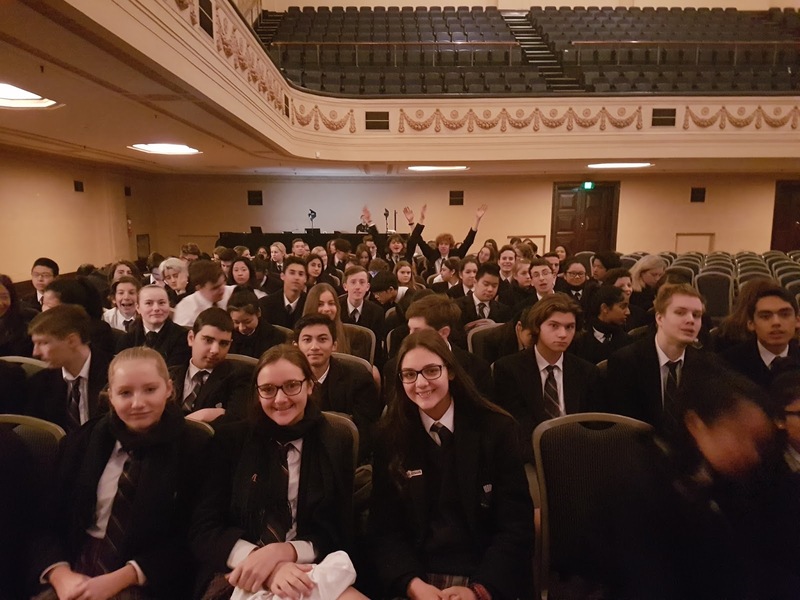 After a lunch break students made their way to the cinema in Melbourne Central where they saw the movie ‘Fly away home’ or ‘Maikäfer flieg’, a preview of an Austrian film production by Mirjam Unger that will be part of the Melbourne International Film Festival. The film introduced students to the childhood experience of Christine Nöstlinger, an Austrian children's book author, in the final phases of World War Two. Students reviewed this film in class in the following lesson and were able to clarify their questions on this topic. Most expressed that the experience of war from a family’s perspective was beyond explanations in classroom lessons and had increased their understanding of peace.